Welcome! It’s a New Catalog Year – Welcome! 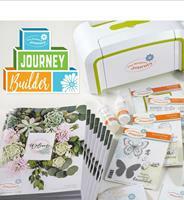 Have you seen the wonderful new Fun Stampers Journey Catalog that launched July 1st? If you thought last year’s catalog was great this year’s is absolutely fabulous! It’s even bigger! The stamp sets are dynamite, the mixed media offerings are off the charts, there’s scrapbook goodies, new jewelry and some fantastic planner & organizational bits to keep you on track. But don’t take my word for it, click on the image below to check it out for yourself. Have you ever considered becoming a Fun Stampers Journey Coach? There’s no better time than between July 1st – 31st. We are offering a new starter kit & double stamps in your kit when you sign up in July. What are the perks of being a Fun Stampers Journey Coach? You’ll be joining a company that cares about their coaches and helps them build their business. You can easily be a hobbyist & keep your own creative studio well stocked. FSJ offers the lowest minimum in the industry at just $150 a quarter. That’s just $50 a month & you get your coach discount of 20% plus generous hostess & customer benefits. We offer the widest variety of product on the market with exclusive partnerships with other major companies like Simple Stories, Gel Press & PanPastels. Email me for more information at sassyangelsstudio@gmail.com I would love to have you join the Sassy AngelS Stampers team! Our Bloom Boxes now have 2 options. Subscribe for 6 months of inspiration delivered directly to your door for $24.95 or purchase your favorite Bloom Boxes individually for $29.95 but this only applies while supplies last. Once they are gone, they’re gone. Bloom boxes make it great to squeeze in some creative time every month if you have a busy schedule with 4 card kits & a stamp set that can be used indefinitely. Plus join me most months for an exclusive Bloom Box class in the SASS Studio. 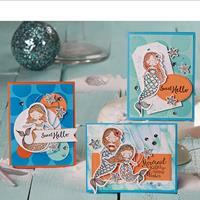 July’s Mermaid Wishes class is going to be fabulous & fun! Sign-up today! Thanks for checking out SASS studio’s update. Stay tuned for fun art.